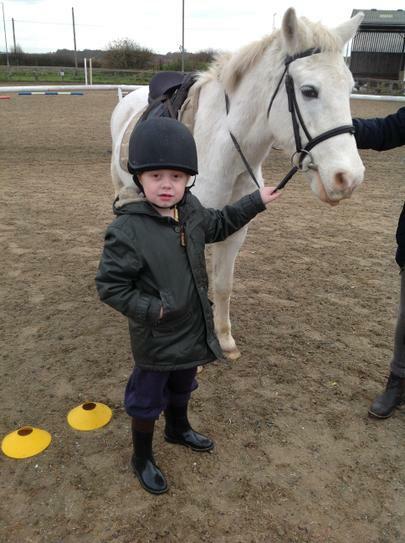 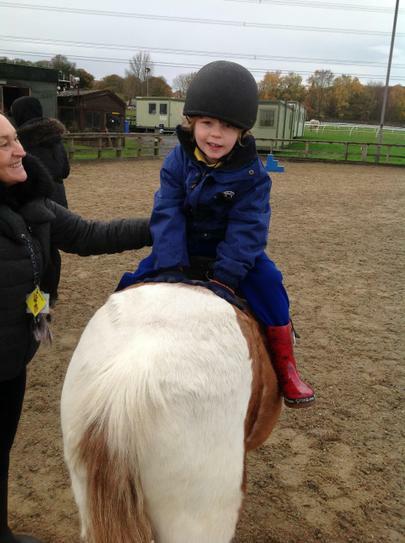 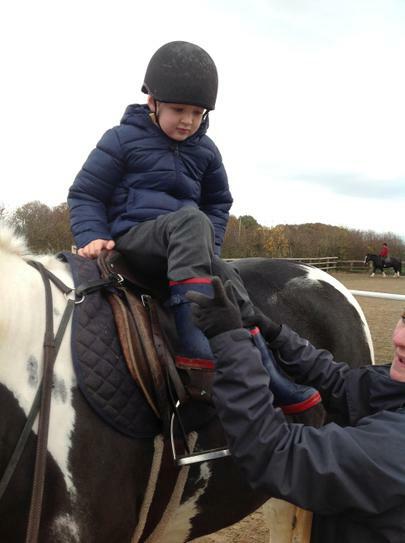 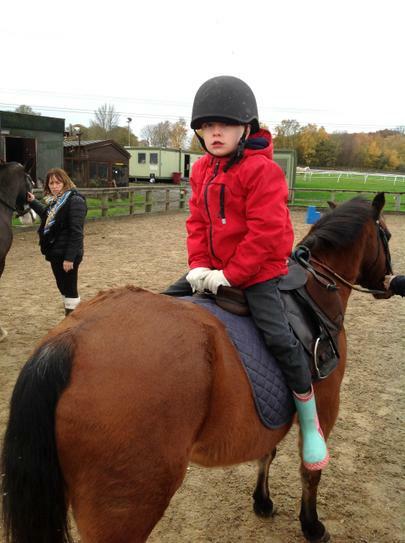 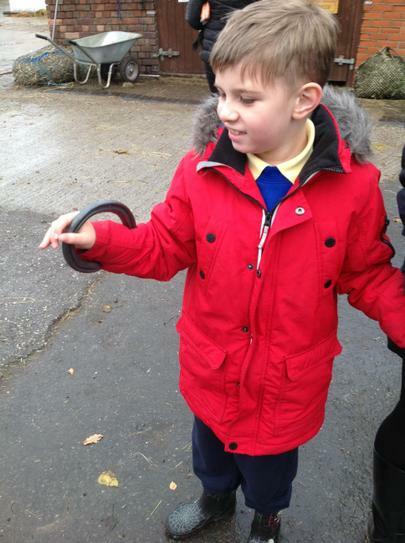 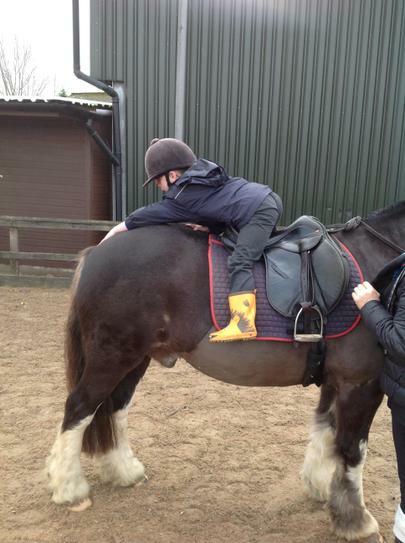 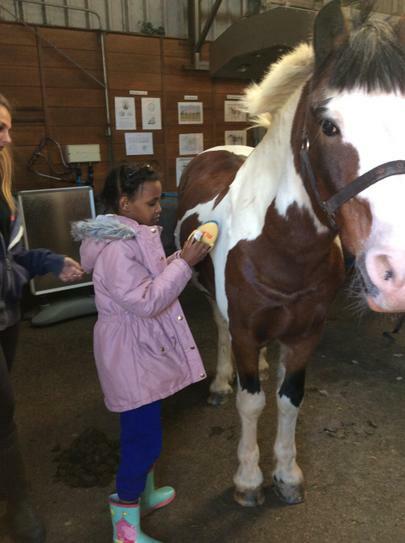 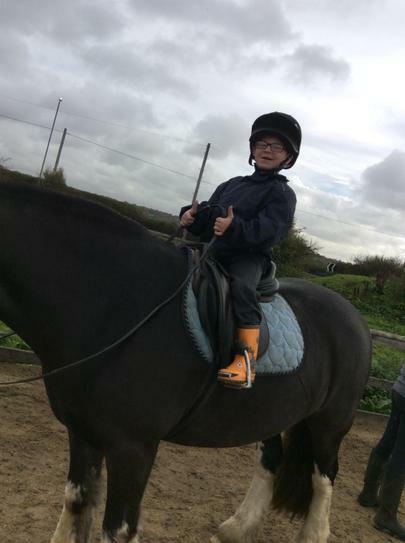 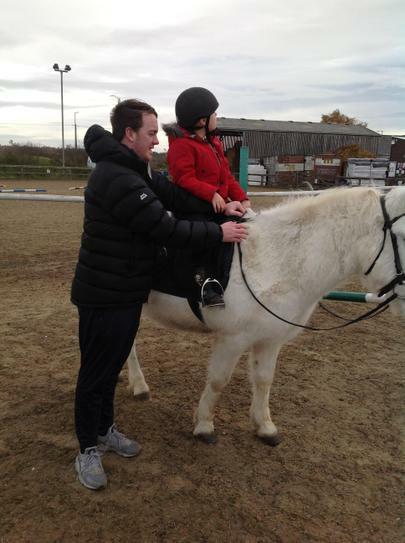 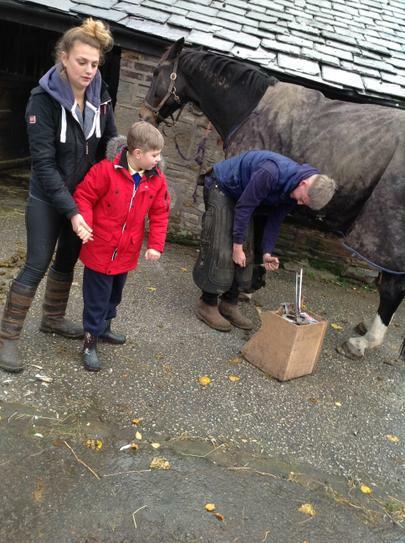 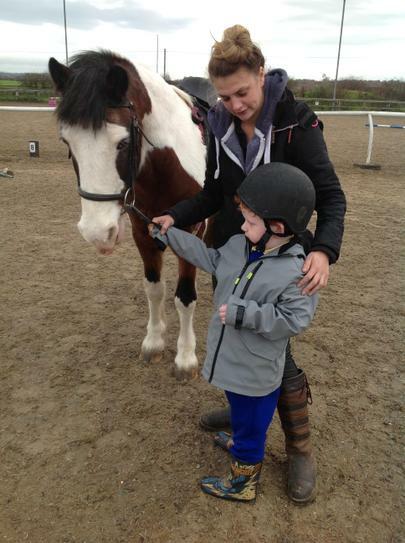 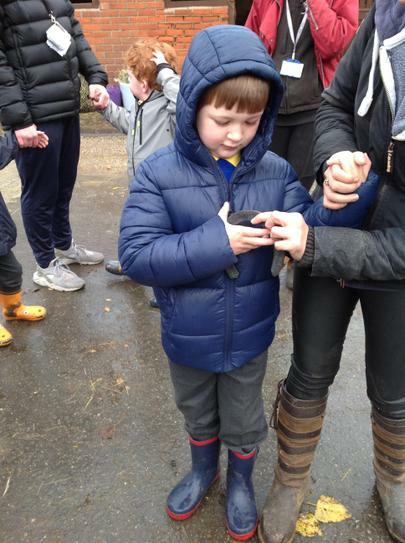 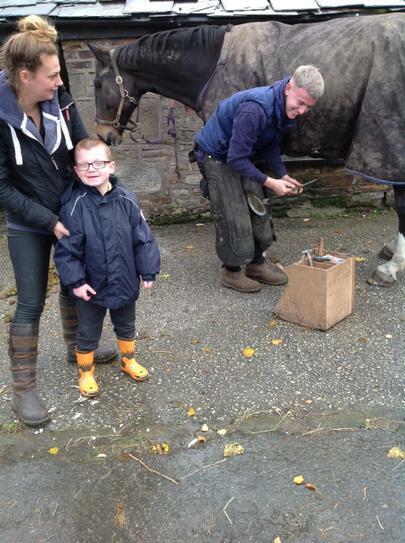 Some children take part in horse riding and horse care sessions. 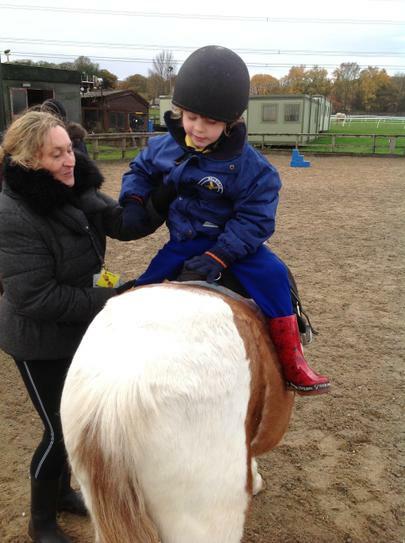 These sessions run twice a week and continue throughout the year. 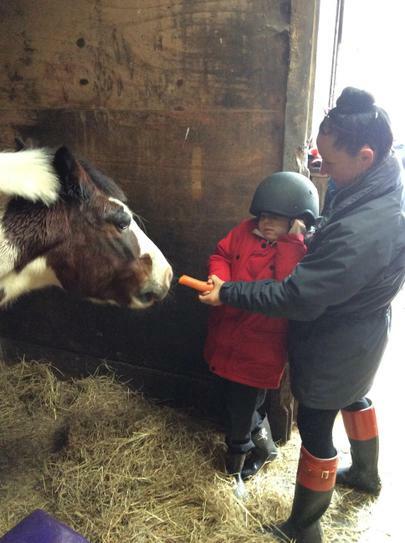 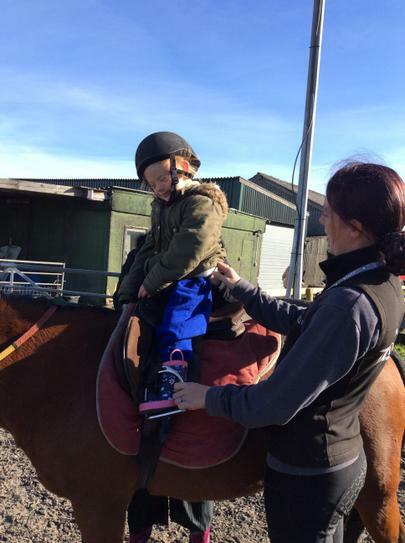 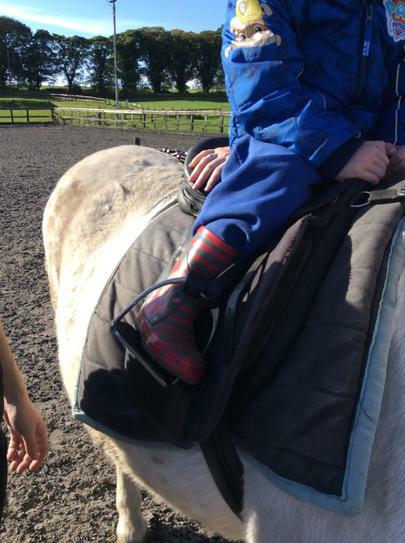 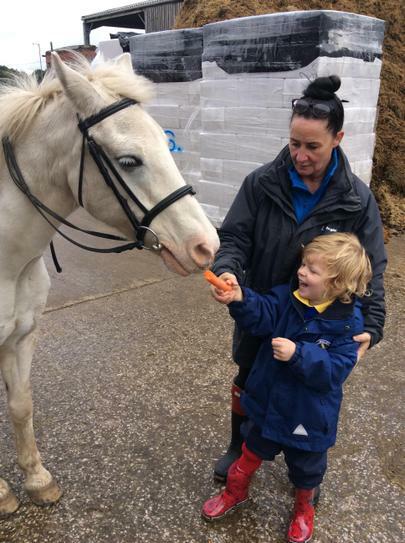 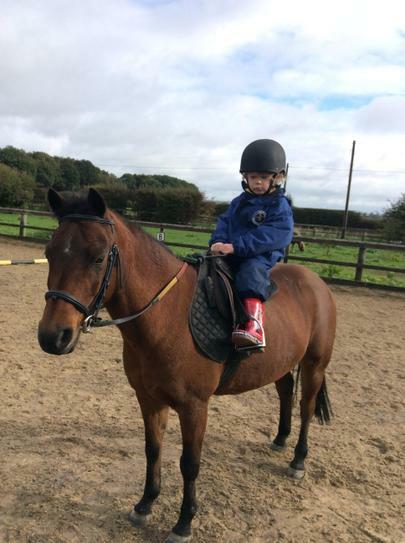 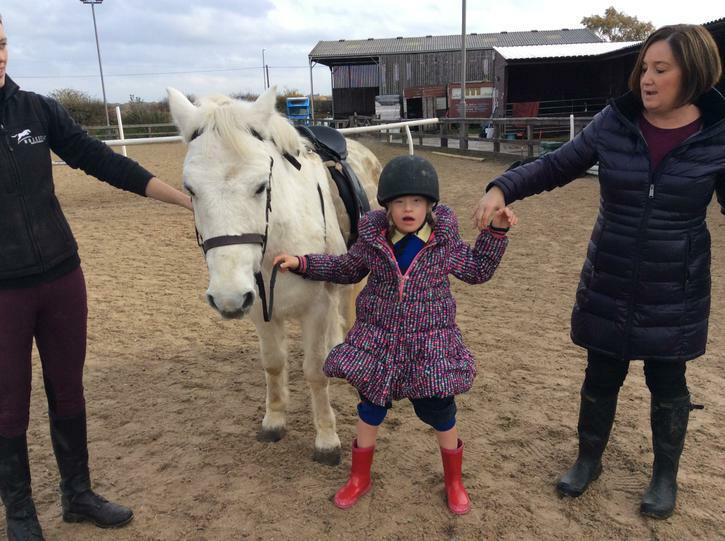 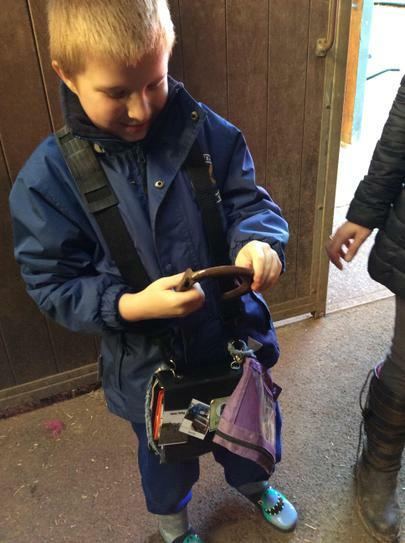 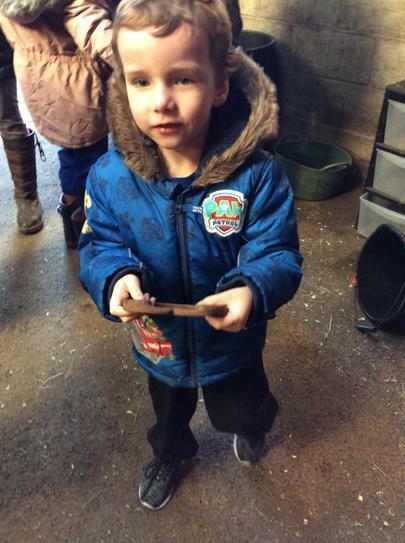 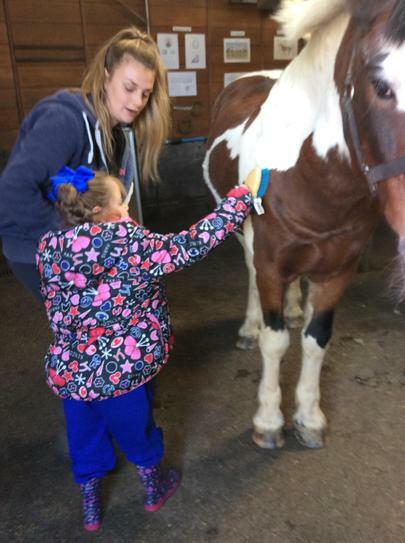 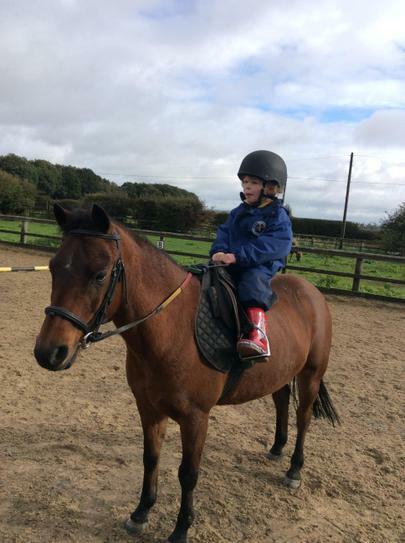 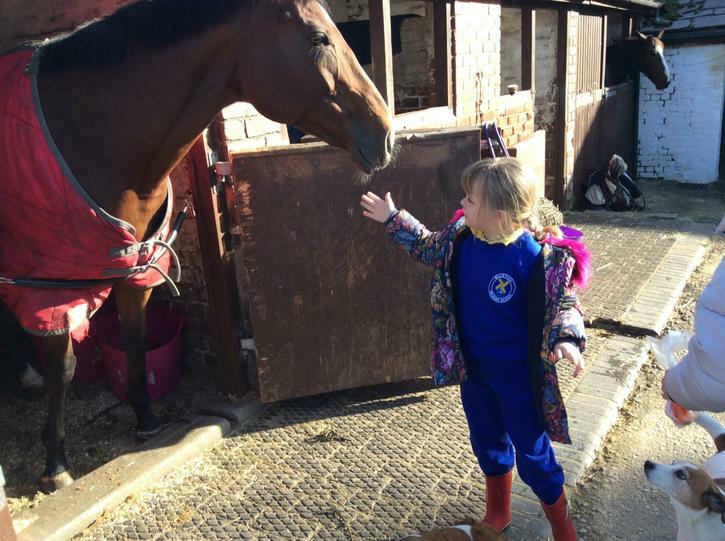 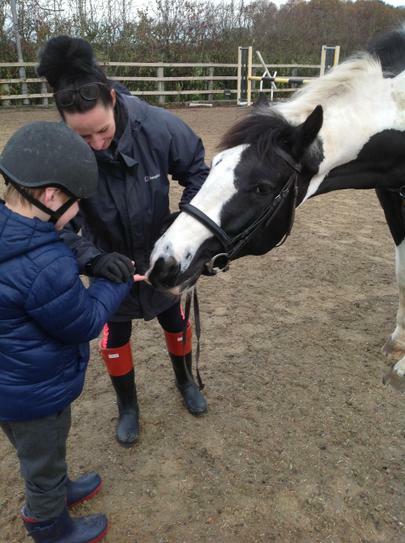 Our children love interacting with the horses and ponies and enjoy learning a wide variety of skills such as riding, feeding, grooming and many more. 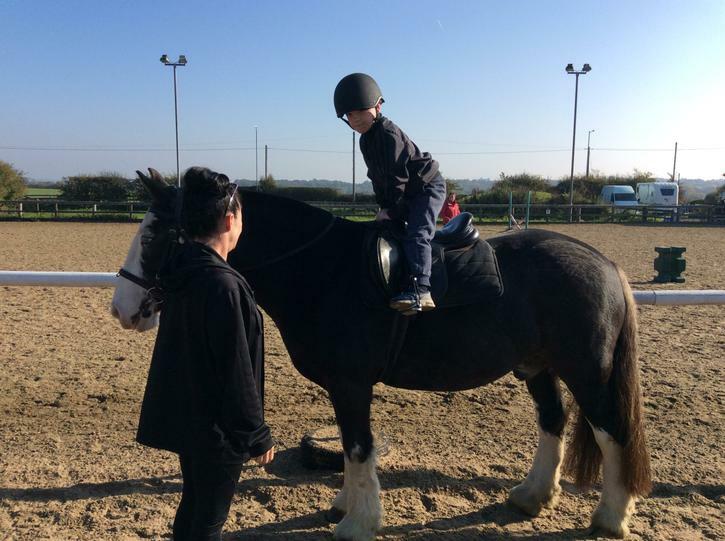 We work towards an awards scheme which has 3 levels starting from Bronze, Silver and Gold. 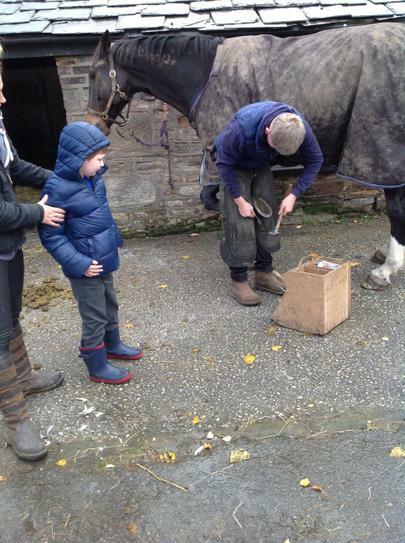 In each of these awards we will learn how to care for a horse and groom the legs, mane and tail, and the face. 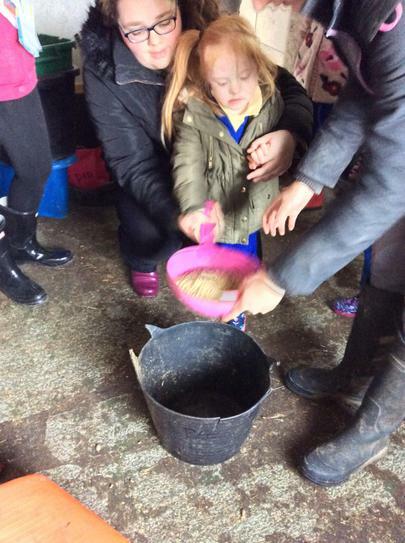 We also help to mix the feed for the horses dinner and learn about what kind of treats they like. 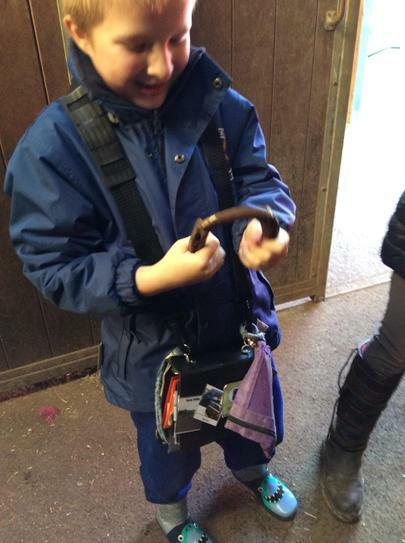 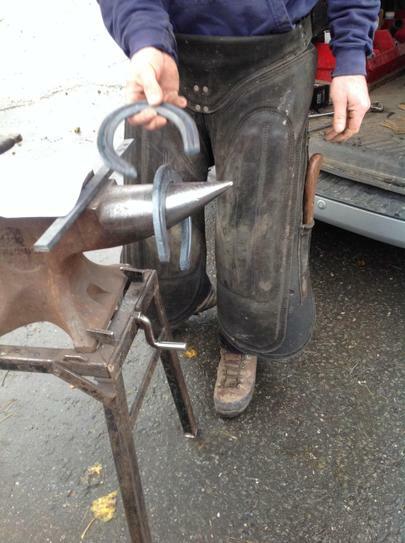 When we ride the we learn how to hold the reigns correctly and that our feet have to be in the stirrups at all times. 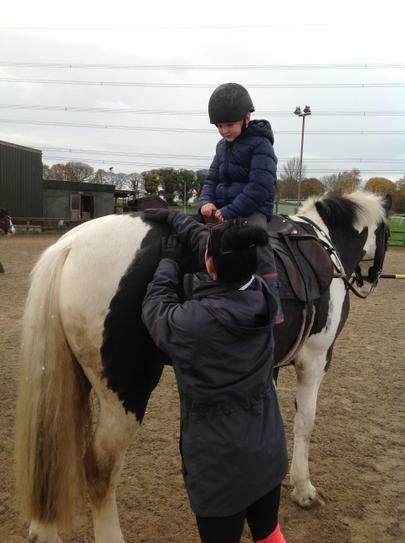 At the end of our session, we always do a little game called "around the world", we have to turn ourselves around on the saddle completely so we can reach for the horses tail.